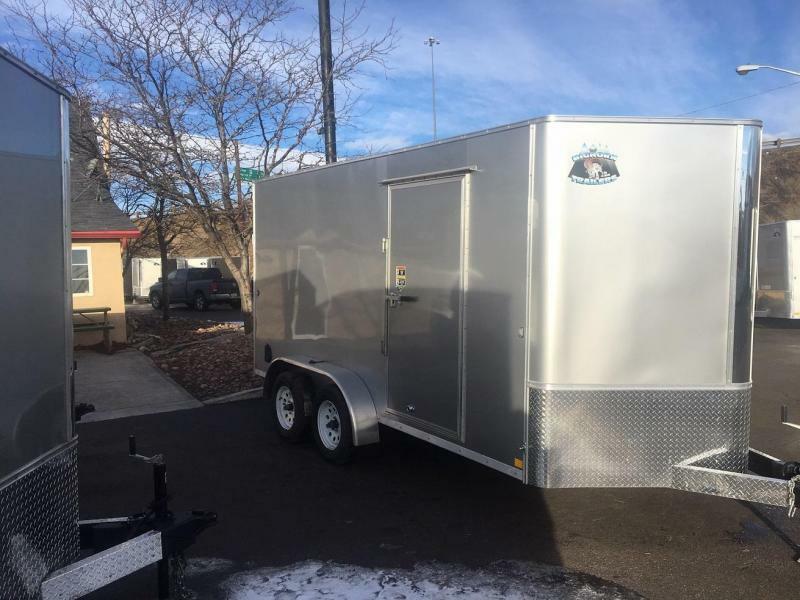 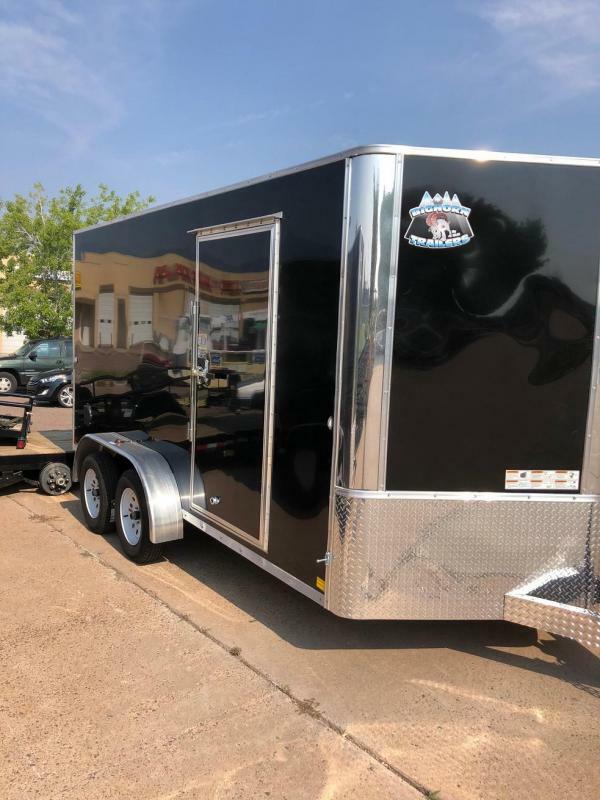 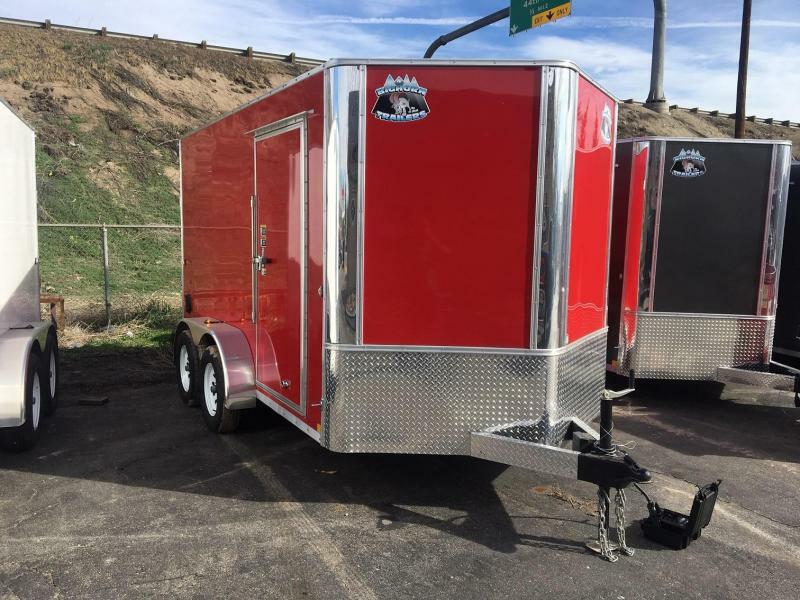 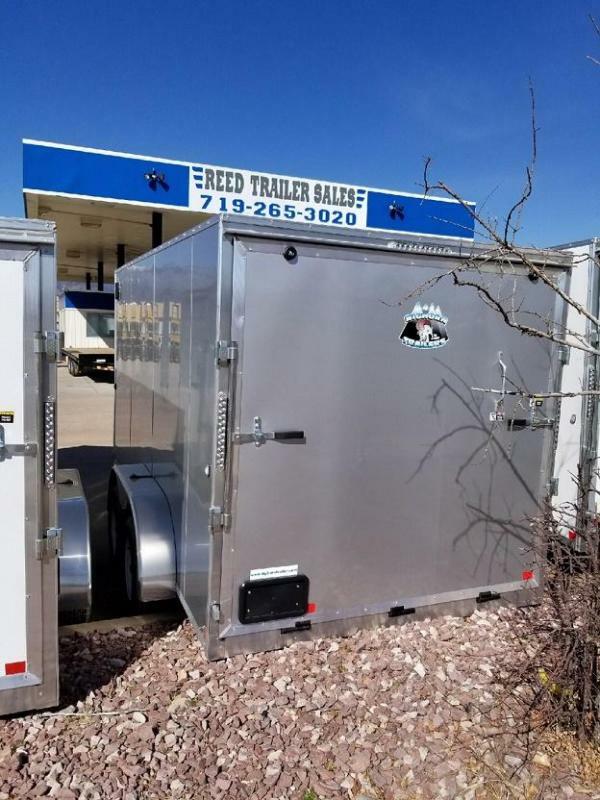 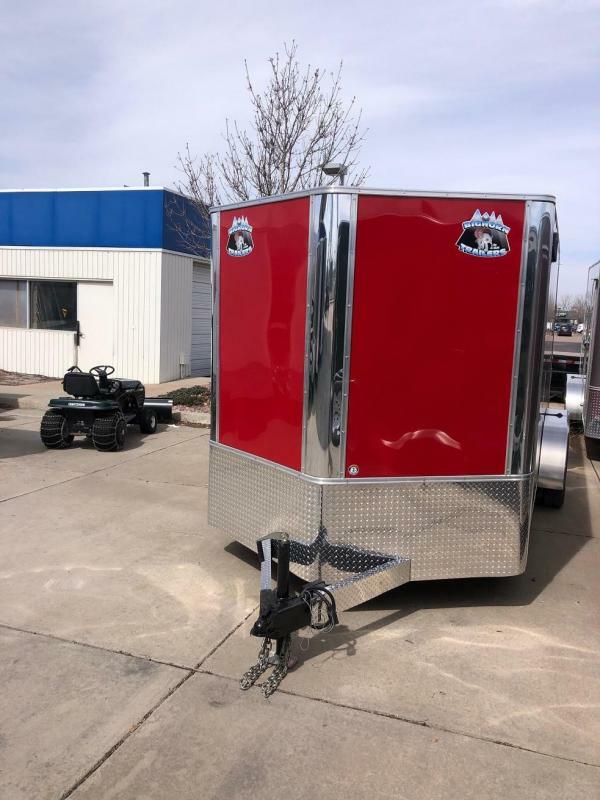 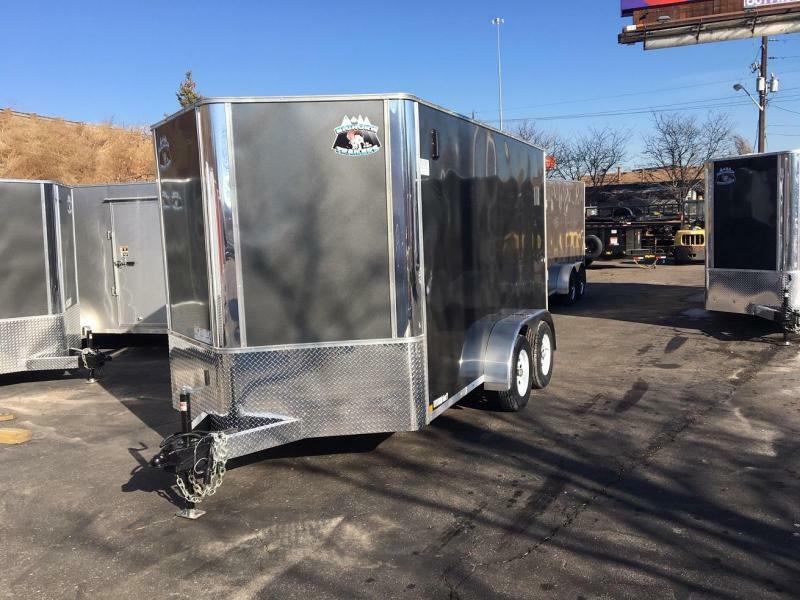 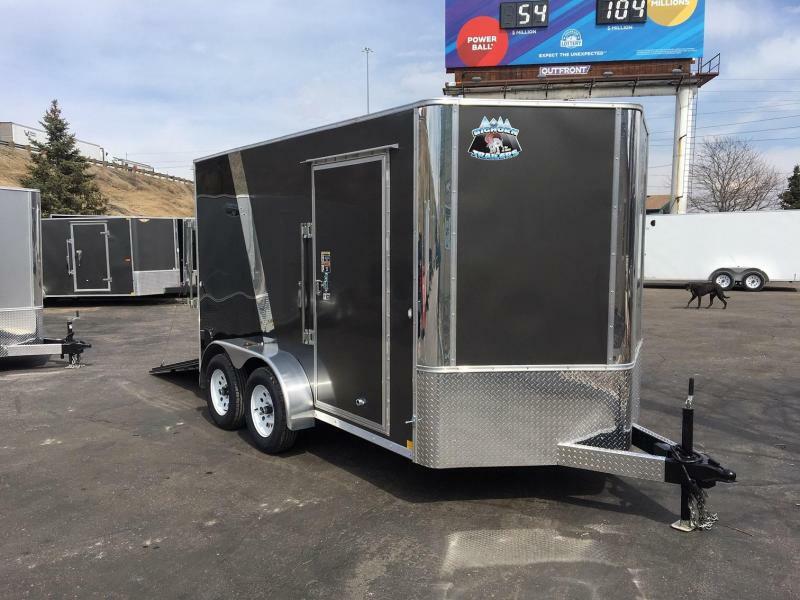 This is a 7x12 V nose Contractor model Big Horn Trailer on sale at our Colorado Springs. 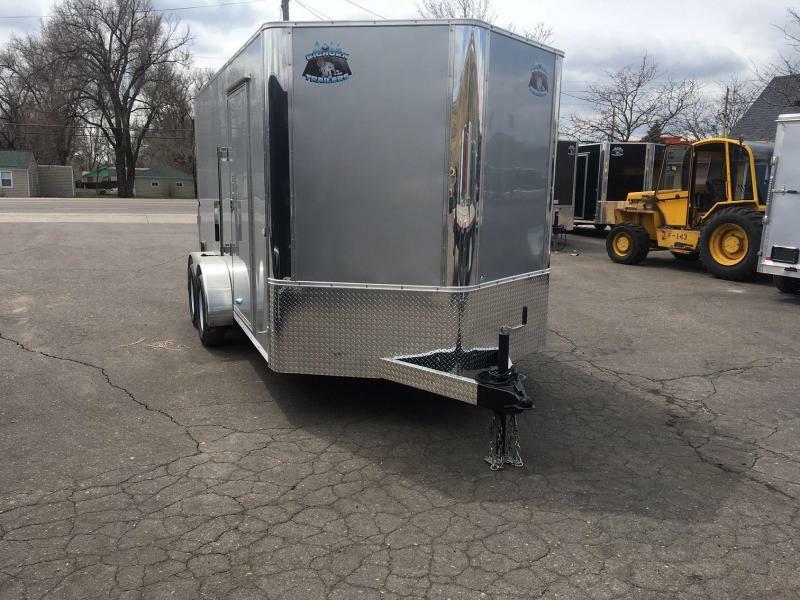 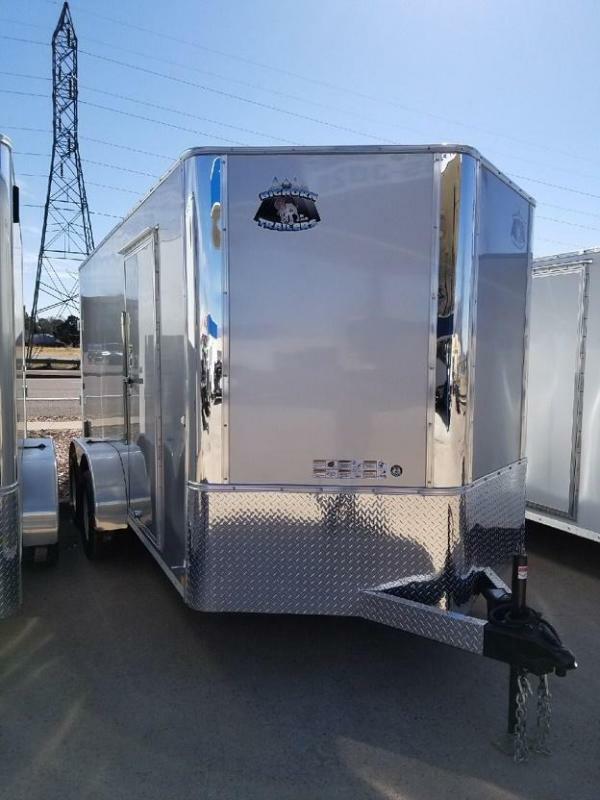 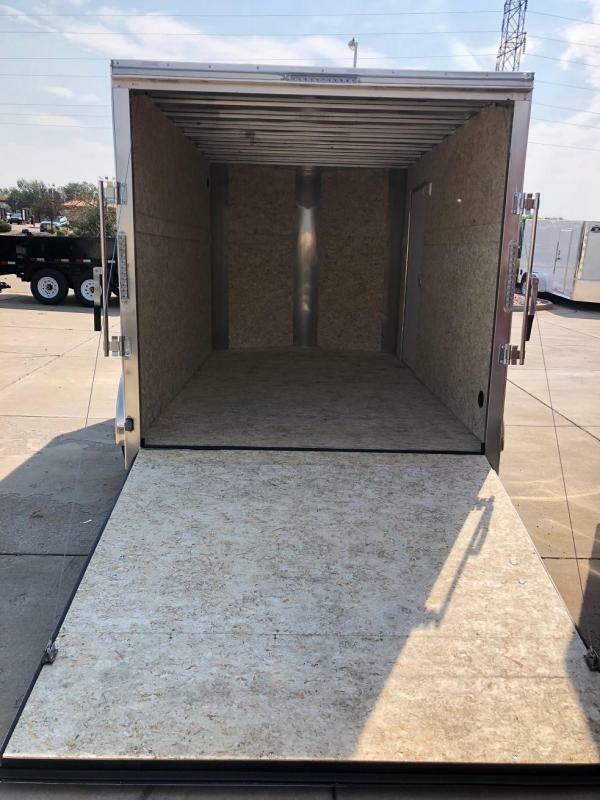 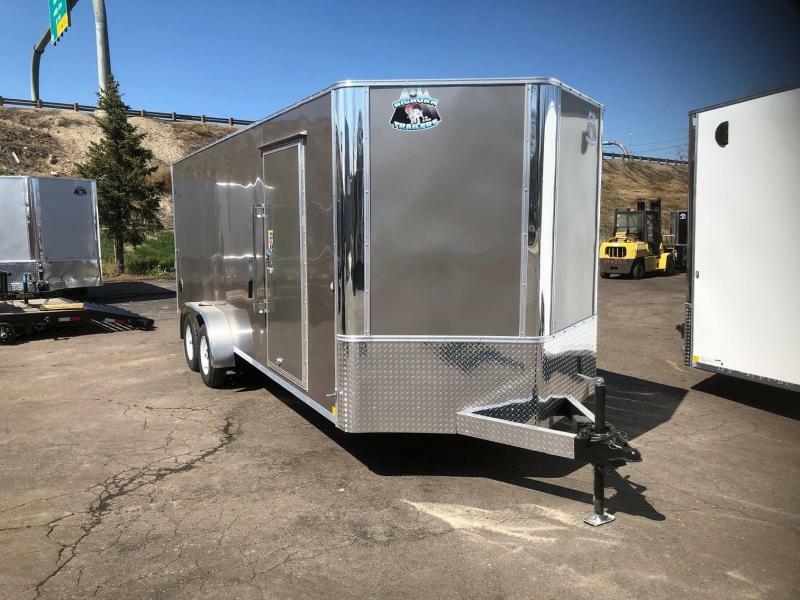 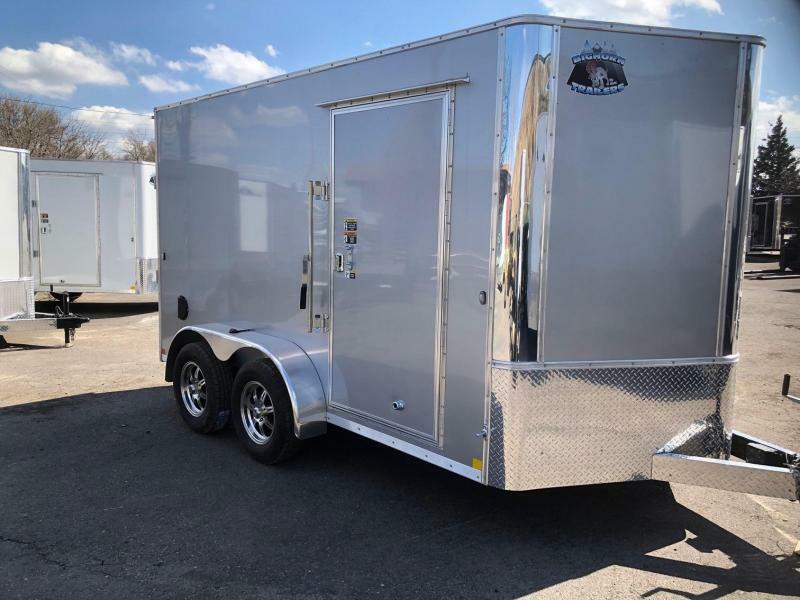 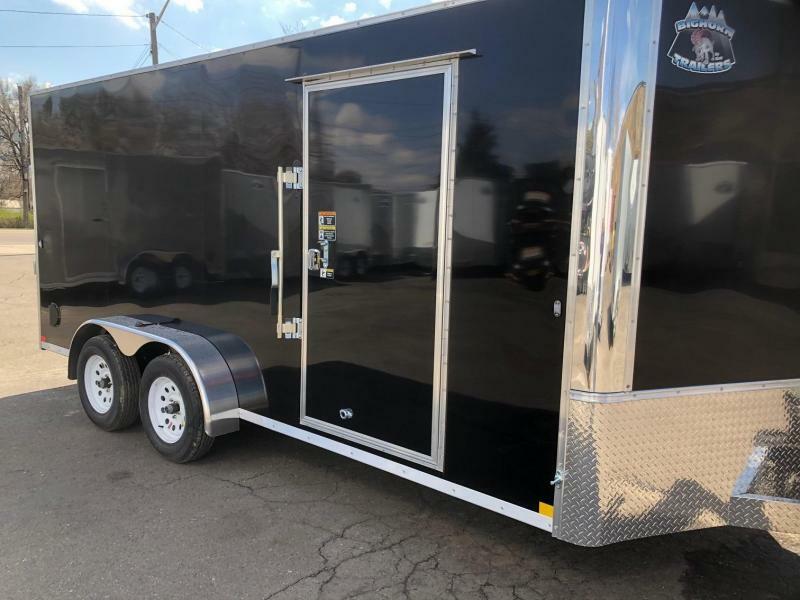 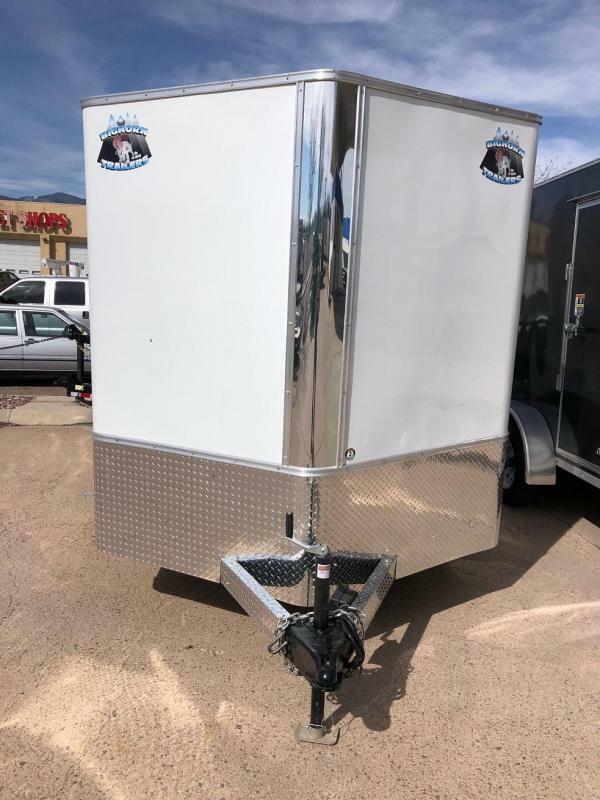 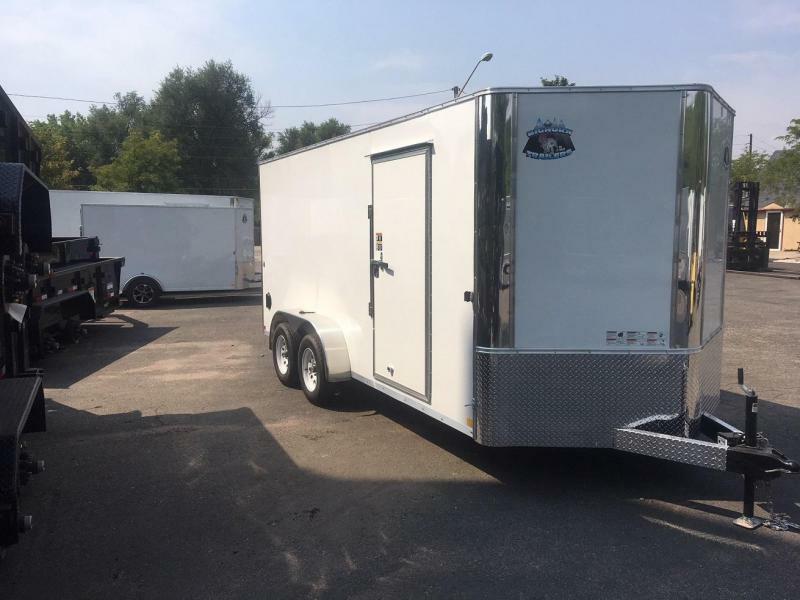 What sets this trailer apart is our .040 Silver Screw less exterior aluminum skin thickness, 16" on center all Tubular floors, walls, and ceiling cross members, One piece aluminum roof, 4000 lb. 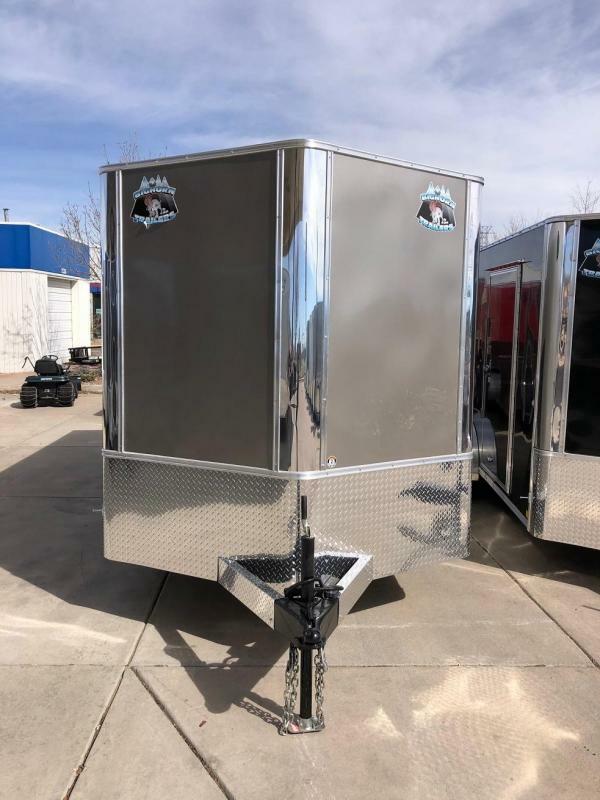 rating on the rear ramp gate with spring assist, 78" interior wall height, 24" rock guard, Polished aluminum V nose and corners, Tandem 3500 lb. 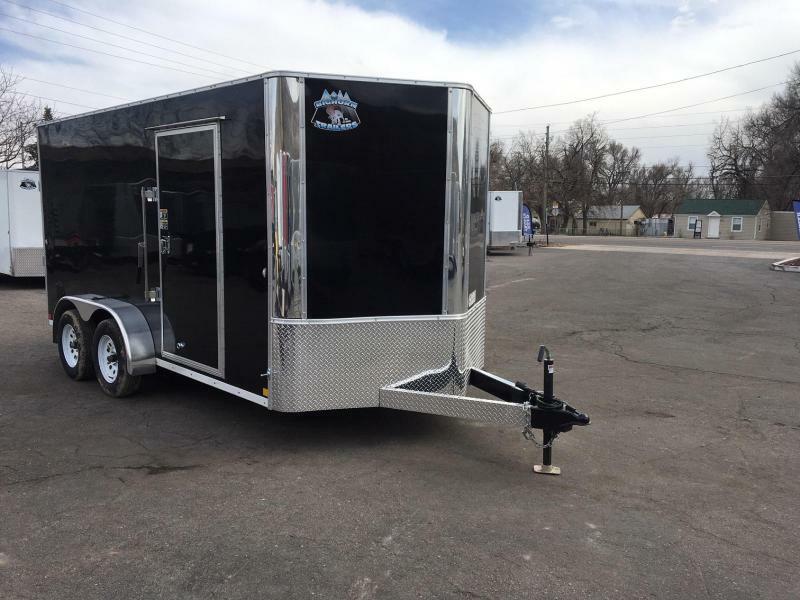 Drop axles with brakes on all four wheels, ST205/75/R15 radial tires, EZ lube hubs, Fully DOT Compliant. 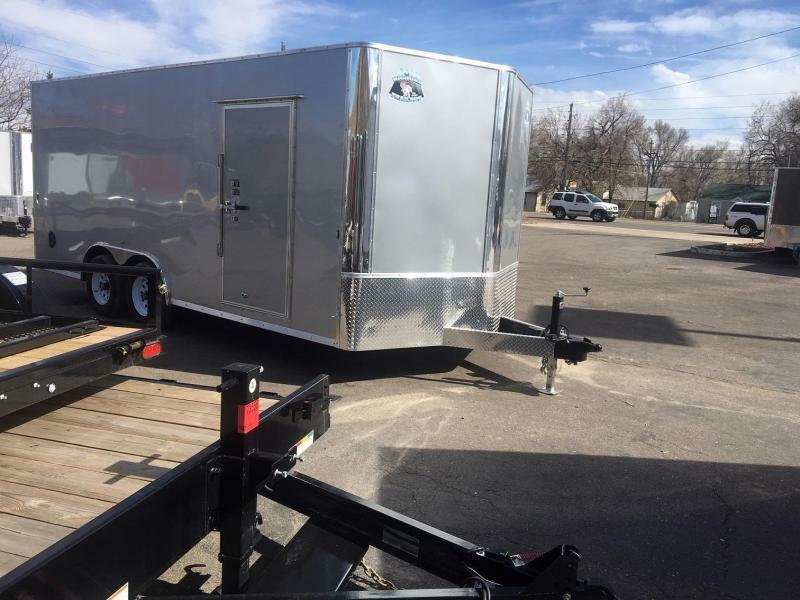 Please compare this trailer to others to get a true understanding of the quality and value in it!